Light sketch of an open umbrella. 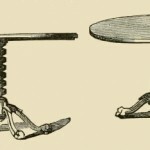 Two drawings of the same table from different perspectives. 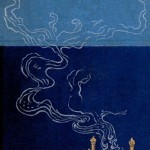 Vintage fireplace drawing in blues and gold. Public domain drawing of a vintage mirror. 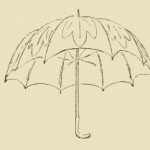 Public domain drawing of an umbrella. Small, vintage black and white drawing of a steamer trunk. Vintage drawing of a wooden crate. Vintage black and white drawing of bottles in a carrying basket. Drawing of an old fashioned cast iron iron. 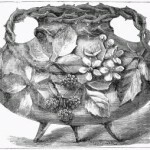 Black and white drawing of a footed floral vase. 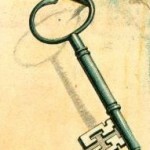 Public domain drawing of a skeleton key.